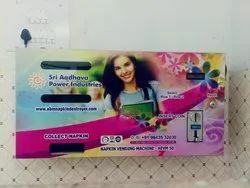 Leading Manufacturer of sanitary napkin vending & disposable machine, automatic sanitary napkin vending machine, automatic avm vertical 3.0 vending machine, manual sanitary napkin vending machine, coin operated vending machine electrical automatic and sapi vend sanitary napkin vending machine from Coimbatore. 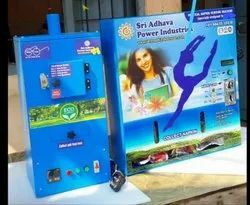 Buy Sanitary Napkin Vending Machine & Disposable Machine Worth Rs 14000 Only. 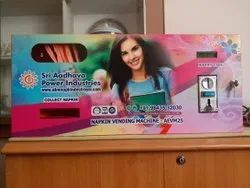 Automatic Sanitary Napkins Vending Machine. The convenience of purchasing the product independently. Self-dispensing of the napkin at the drop of a coin. Available in Different Size, Model & operation(Manual & Electric). Automatic vending machine. Vertical machine. High quality Mechanism. Especially designed for Government supply. Ease to operate. 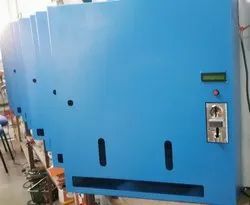 With the valuable assistance of skilled team of professionals, we are engaged in offering an extensive range of high-quality Manual Sanitary Napkin Vending Machine. Inside material made up of Stainless Steel covering for maximum longstanding, outside covered with Mild Steel but here 7 times coating process done. That’s why don’t bother about crust formation.The ash is collected in an Ash Collection tray.Robust construction.Smell free burning process.Heat up time is quick and operational time is less.Simple installation.Problem-free operation and maintenance. Packaging Details: Standard Carton box packing with Shock absorbing foam. Imported Coin Mechanism Fixed Inspection Window Available Available Technology: Single Coin Acceptor Technology (1,2,5 & 10 Rupee Coins & Special Tokens)Double Coin Acceptor Technology (in Single Acceptor)Press Button Technology Card Sensor Technology Without Coin – Acceptor Technology Special Token Acceptor100% Automatic Digital Model. 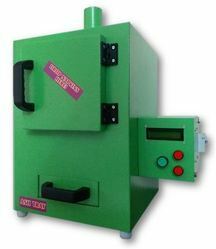 We are one amongst the leading Sanitary Napkin Destroyer Manufacturer and Supplier in Coimbatore. The disposal of the Sanitary Napkins, Diapers has been a very common problem. Especially in India the used napkins, Diapers are thrown to bathroom dustbins as it leads to embarrassing visuals and smells and the used napkins, Diapers are flushed into the drain. Both the above methods of disposing of sanitary napkins, Diapers create problems. The drainage line check-ups or plumbing line blocking problems occurs and throwing in dustbins results from Health-related problems due to hazardous contents in the used sanitary napkins, Diapers. Coin Selection 5 Rs., 10 Rs., 2 Rs., 1 Rs. 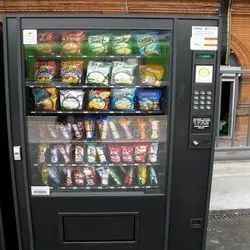 With the valuable assistance of skilled team of professionals, we are engaged in offering an extensive range of high-quality Coin Operated Vending Machine. With the valuable assistance of skilled team of professionals, we are engaged in offering an extensive range of high-quality Vertical Napkin Vending Machine. 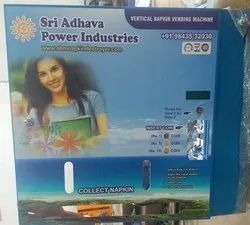 With the valuable assistance of skilled team of professionals, we are engaged in offering an extensive range of high-quality Napkin Vending Machine. With the valuable assistance of skilled team of professionals, we are engaged in offering an extensive range of high-quality Chocolate Vending Machine.